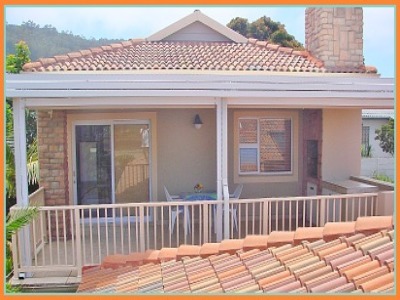 Crane Walk Corner is a modern private upstairs studio for 2 overlooking the serene Swartvlei Estuary where the tranquil village of Sedgefield relaxes against its gentle curves. Sandwiched between the popular Garden Route towns of Wilderness and Knysna, Sedgefield has always been the poor, little known country cousin. However, it recently came into its own when it became Africa’s first Slow Town affiliated to Cittaslow International. The village had to conform to the standards set in Italy that founded the Slow Town movement. The principles engendered by this concept suit this quiet beauty where quality and simplicity triumph over quantity and fads. If you’re looking for a place to slow down to the speed of nature, breathe unpolluted air and an opportunity to recharge your batteries, Sedgefield could be the ideal restoration destination! George Airport is an easy 45 km drive away for a fly-in week end. In the heart of the Garden Route, Sedgefield is central to all of its amenities and attractions such as our exceedingly popular outdoor Saturday Markets and our 5 magnificent beaches. The lagoon offers safe swimmming, good fishing and a vast number of watersports like canoeing, sailing, skiing and pedalboating. Paragliding is a big favourite as there are many perfect sites for it in the area. Cycling has a large following due to our local well-known expert, Eugene Roux who operates from his shop Cycleworx. He organises regular events and can customise a bike ride/tour to suit individual needs. The forests, mountains, lakes and beaches provide the perfect outdoor arena for all these enjoyable activities. 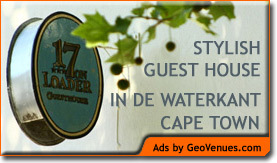 Sedgefield is unequivocally the best kept secret of the Garden Route!